ZWCAD helped CH. Karnchang, a leader in construction and public infrastructure in Thailand, with its MRT projects. Founded in 1972, CH. Karnchang Public Company Limited or “CK” is a leader in construction business and the development of high-quality and comprehensive public infrastructure in Thailand. Covering Mass Rapid Transit System, Airport, Road and Expressway, Energy, Water Supply and Harbor, and Building, it has been increasingly recognized and trusted by leading organizations, with the ability to manage sophisticated megaprojects at the regional levels where all advanced construction and engineering technologies are needed. It is more than a construction firm. Rather, it is a driving force behind the development and progress of the country. Striving to promote the quality of life in all aspects, it commits to undertaking projects with good contributions to the community, society and the country. 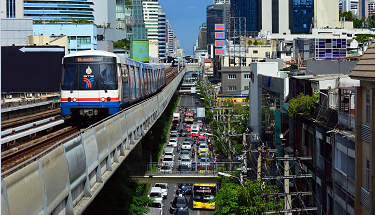 As one of those beneficial projects, the MRT projects, including the Green Line, Blue Extension Line, Purple Line and Orange Line, have well connected the areas from Hua Lamphong to Tha Phra, from Bearing to Samutprakan, from Bang Yai to Bang Sue, etc., greatly alleviating the traffic pressure and shortening local people’s commuting time. Thereinto, ZWCAD has been applied to the Green Line, Blue Extension Line and Orange Line. As CH. Karnchang was also invited to the 2018 ZWCAD Asia Forum held in Da Nang last month, an interview was conducted with Anusorn Semathong, its Chief System Administrator, and Adthapol Nillaor, its Project Relation Manager, to learn more about these projects and ZWCAD’s performance. Q1: Thank you for accepting our interview, and welcome to Da Nang! How do you feel like being here? Adaphol: It’s the second time I’ve been to Vietnam. I visited Hanoi before. I think Da Nang is a beautiful and clean city, and people here are lovely too. Anusorn: Me too, I feel comfortable and happy here. Q2: As we all know, CH.Karnchang is a leader in construction business. Can you tell us something more about it? Adaphol: As you said, CH.Karnchang’s main business is building and construction. It has been founded for 45 years. In the past 20 years, we have worked with the government, and undertaken major infrastructure projects, like Mass Rapid Transit System, Expressway and Harbor. It’s one of the top 5 companies in the AEC industry in Thailand. Anusorn: We have taken over several projects which were invested more than 10 billion Baht. Some of them are in other countries such as Laos. Most of them are dam and hydroelectric projects. If I remember correctly, we have finished 2 to 3 such projects. Q3: Which one of those projects has employed ZWCAD? Adaphol: We have used ZWCAD in a large amount. At present, ZWCAD is mainly used in 3 MRT projects. We began to use it in an extension project of the MRT Blue Line, which began in 2011. It is 2.6 kilometers long and has 2 stations. And then we used it in the MRT Green Line and recently the MRT Orange Line. Q4: Why did you choose ZWCAD? Adaphol: We chose ZWCAD for several reasons. Firstly, the price is reasonable, which is an important factor we concerned since we have many projects, and a great number of licenses are needed. Secondly, it has high compatibility so that it is perfectly compatible with our former CAD solution and can fully replace it. What’s more, not only can it co-work with our system very well, but it also fits in well with other software, which means that after finishing the design work, we can continue to work with the downstream smoothly. For the designers, they don’t need to learn again, because the interface and commands are familiar. They work well with ZWCAD. It is simple and easy-to-use. 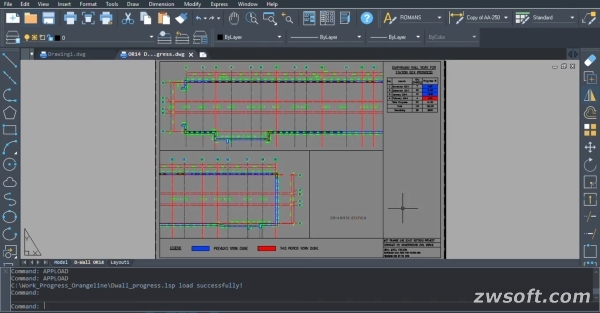 Q5: What are your favorite features of ZWCAD? Anusorn: My work is mainly to open drawings in ZWCAD and develop some add-ons based on the APIs that ZWCAD supports. 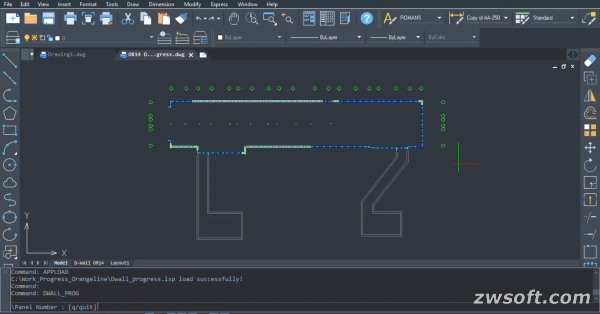 ZWCAD can open large drawings with ease, which is impressive. I like Dynamic Block and it can be created and modified in ZWCAD 2019, which was mentioned by Daniel (Product Manager of ZWCAD) in the forum. I think it’s good. Adaphol: I like Smart Voice. I like using it! I can leave vocal annotations or notes in the drawings by the SMARTVOICE command. It is a useful function for better team work and design collaboration. Q6: Some of the MRT projects have been completed while others are still in progress. What benefits did these projects bring to the local people? 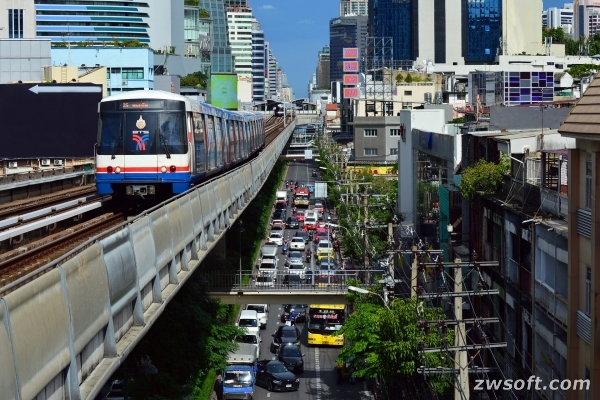 Adaphol: Trains appear in Thailand for no more than 20 years, and traffic jam is always a big pain point in Bangkok. Now with the MRT, people can travel in an easier, faster and more convenient way. Q7: Apart from the product, how do you feel about the support and services provided by ZWCAD? Anusorn: We appreciate that! Every time when we have technical issues, we contact your local distributor Xian Jin, and they will respond quickly and help communicate with the support team in ZWSOFT (headquarter), to solve our problems. Q8: You have also tried ZWCAD’s mobile CAD solution called CAD Pockets, how do you think of it? Anusorn: It’s very beneficial for multi-platform team work. I can open, edit and annotate easily on the .dwg drawings anywhere and anytime. What’s more, as we know, Cloud is very popular now, and CAD Pockets can also save the drawings to online storage, which is very helpful. Q9: Now comes to the last question. This year is the 20th anniversary of ZWSOFT, can you say a few words of best wishes? Adaphol: Happy birthday to ZWSOFT. Congratulations to the last 20 years’ achievements, and thanks to this opportunity, which enables us to know more about ZWSOFT. We sincerely hope that ZWSOFT keeps providing reliable products and service. Anusorn: From the development history of ZWSOFT, we can see that it keeps making progress step by step. The functions and features of ZWCAD are competitive compared with other providers. Look forward to more surprises in the future! ZWSOFT (ZWCAD Software Co., Ltd.) is a world-renowned CAD/CAM solutions provider. With a reputation as a committed and reliable provider of CAD/CAM software to the AEC and MCAD industries, ZWSOFT has created design software products that have continuously satisfied the needs of 2D and 3D drafters. With 20 years' experience in CAD industry, our products and service are proven by over 550,000 clients across 80 countries, including US, Latin America, Europe, Asia Pacific, Middle East, Africa, etc.